It's more or less the end of my bass spinning for 2009 so I thought I'd dig out some of my old photos and scan them in to see how things have changed. If you want to catch bass these days you have to use the latest spinning rods and reels, the strongest and most supple Kevlar lines, the fanciest Japanese plugs or American softbaits and so on and so on. Of course none of this is true. When I first fished for bass in the late 1960s (when I moved to Dorset) we had none of this kit but we still caught lots of bass. Let's just take a short walk down memory lane. Our favoured rods for spinning were twelve foot, through action, 'carp' rods with test curves of 1.75-2.00lb. The logic of using these rods was that they were designed to cast light baits (in our case unweighted balsa or plastic plugs) long distances and to hook and to play and land heavy, powerful fish (in our case bass). This they did very well. The best fixed spool reels for the job, at that time, were the old ABU Cardinal 77s (long since obsolete). They had a smooth action a good line lay and a decent clutch. The reels would be loaded with eight pound (yes EIGHT pound) nylon monofilament, probably Racine Tortue. The range of available lures was limited. At first we used unjointed Rapalas or ABU Killers and later on we discovered jointed Rebel J30s. If it was weedy we would resort to Redgills, with or without a barrel lead stuffed up their bums. On the relatively fine nylon the lightweight plugs could be cast perhaps thirty or forty metres and, provided you kept the hooks razor sharp, would easily hook and land big bass. Significantly, even on this gear lost fish were a rarity. 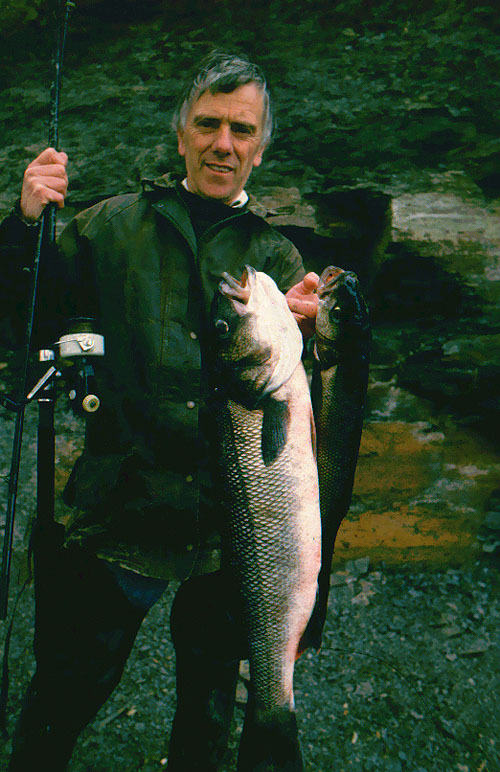 Of Course it's certain that forty or fifty years ago there were many more big bass about than there are today (There were even more in earlier times). 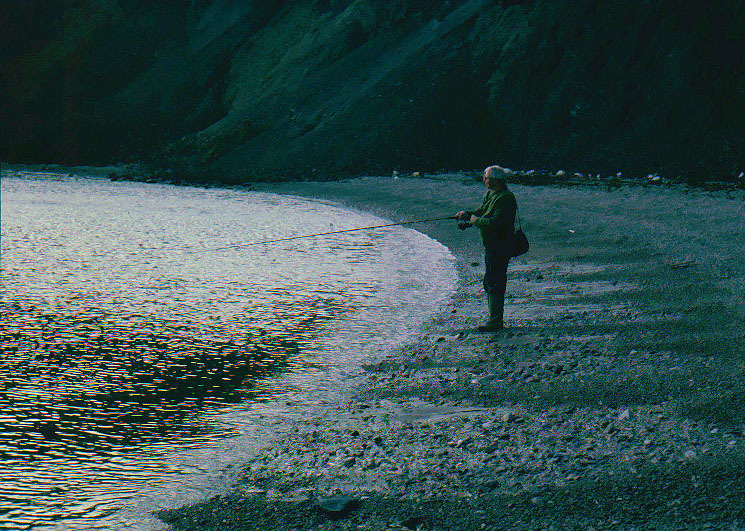 However, there's no doubt that the same kit would still catch the available fish just as effectively now as it did then. So, why have we changed? Modern spinning rods tend to be shorter (don't ask me why - I think it just makes them a bit easier to handle) and are generally less soft in the action than my old carp rods (I still occasionally hanker after my twelve foot rod). Modern rod rings are certainly harder, less bulky and smoother than they used to be. The reels have improved substantially, in that the decent ones are smaller than, lighter than and at least as reliable as the old Cardinal. Also the bale arm rollers enable them to cope with braided lines very effectively (It's the same with the rod rings). One of the real revolutions has been the development of good braided lines. These have virtually no stretch so that you can feel every tap and twitch on your lure and the lack of elasticity also helps when you need to hook a fish (but you should still keep your hooks sharp). The biggest benefit of twenty or thirty pound braid is that it will generally allow you to pull a snagged lure out of wrack or kelp. 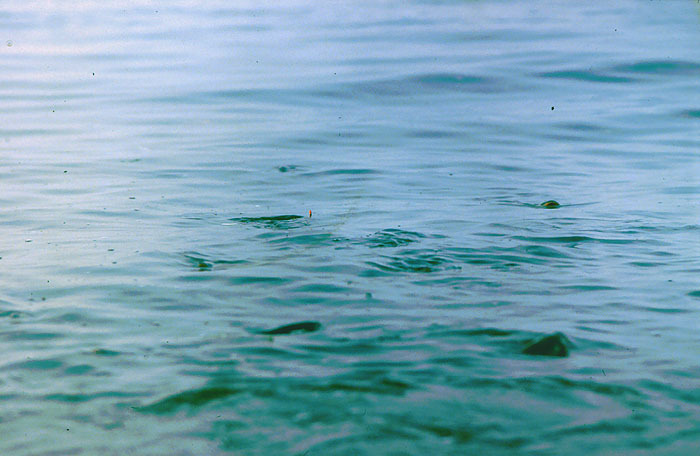 Knowing this you are more likely to fish in those snaggy spots where the bass hang out. Tackle manufacturers have, over the years, realised that there is big money in lures. 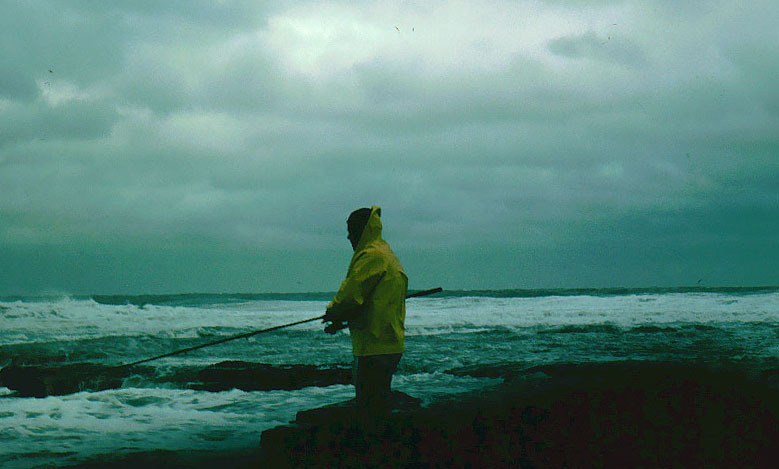 Anglers, like other hobbyists, are often collectors at heart and will have to have the latest chartreuse or sky-blue-pink version in their bag. Having said this there have been great improvements in the availability of lures. Much of this stemmed from the USA's black bass anglers. Largemouth Black Bass are greedy fish and are susceptible to surface poppers, crank baits, darters, spinners and softbaits alike. usually it was just a matter of time until someone in the UK tried these various devices for our own saltwater bass. Surprise, surprise, most of them catch fish. Perhaps the greatest innovation in lure design was the introduction of the moving-weight system which, these days, is almost universal in surface and sub-surface bass plugs. This means that you can now cast sixty metres instead of forty metres, more than doubling the area that you can fish by standing on your favourite rock. 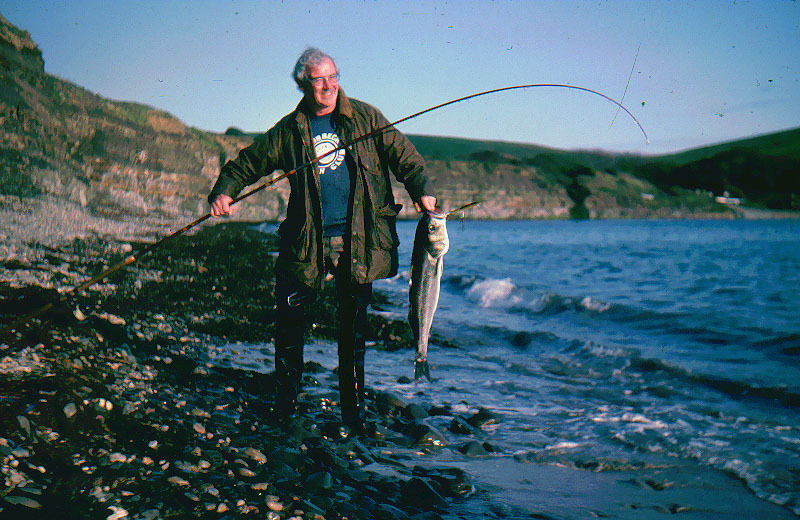 Sadly, this is unlikely to mean that you can catch more than twice as many fish since most of them are likely to be close to the shore but, at times when the fish are that bit further from the shore, the extra metres are a real bonus. I suppose the real moral of this tale is that if you are strapped for cash or in a 'back to basics' mood, there's no reason why you shouldn't resort to a cheap rod, a Chinese reel (some of them are very good), a hundred metres of eight pound nylon and a few cheap soft plastic eels or home made balsa plugs. You'd still catch plenty of fish (but I'll be sticking to my braided line and Japanese lures for the present).